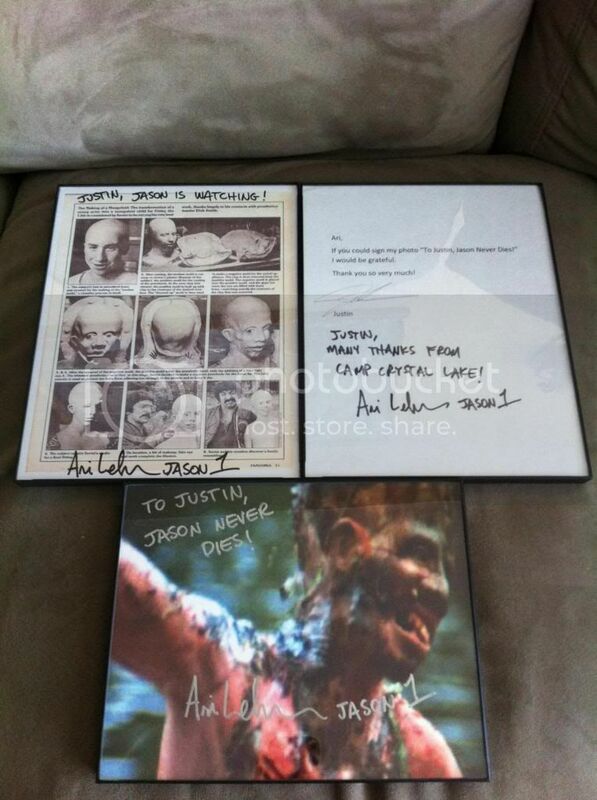 I received these yesterday...I only sent an 8x10...I got these back on Friday the 13th ! after all..."today is his birthday" ! It's always good to see or hear about actors being nice to their fans and even doing a bit extra. Ari seems like an awesome guy who really appreciates his fans. Ari is great with his fans. At the last Horrorhound con, he chatted with my buddy and me for close to 20 mins near the end of the show, signed a couple of things, took some photos, chatted about random stuff including Betsy Palmer. He's one cool cat! Very nice. He always seemed grateful to be a part of the legacy. Very genuine guy. Awesome man! And even better to receive them on Friday the 13th! I agree. It's one thing to pay and get an item signed but, to pay and have multiple items signed ? .... that's genuine kindness and appreciation. He is a class act for sure. I just got word I have another autograph that should be arriving tomorrow or Tuesday. HINT: It's a one of the stars of one of the biggest grossing films in motion picture history. (I don't consider it a horror film) When it arrives I think I will start a autograph collection topic. Looking forward to seeing who the new auto is from!